Jerry Vaill, CE’77, MS ExpE’12, had just retired from the U.S. Geological Survey after a 30-year career when he caught an episode of “The Detonators” on the Discovery Channel in 2009. He was surprised to find that the series’ hosts, Paul Worsey and Braden Lusk, MinE’00, PhD MinE’06, had ties to his alma mater. But what really caught his attention was the nation’s first master’s degree in explosives engineering. As a teenager, Matthew Coy, MinE’10, MS ExpE’14, PhD ExpE’17, helped his father put on fireworks shows for the local Masonic lodge. At S&T’s Jackling Institute, he toured the Experimental Mine and decided on mining engineering as a major. Coy started shooting commercial fireworks as an undergraduate and went on to redesign and teach the Proximate Pyrotechnics course as a graduate student. 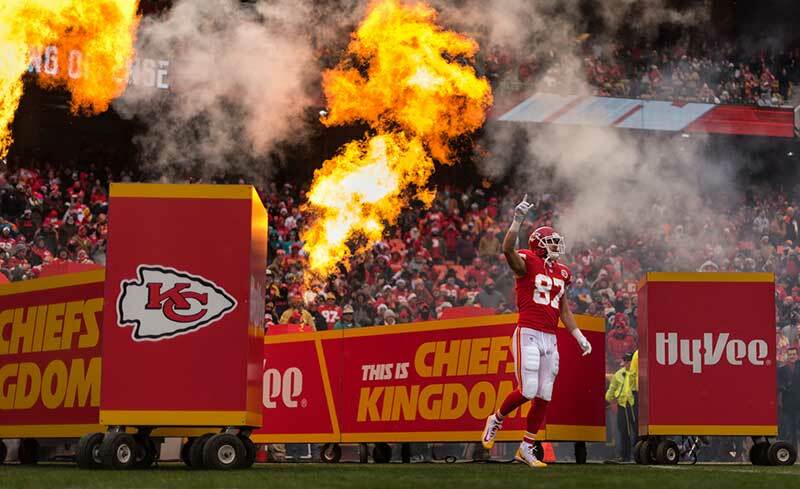 When national visual effects company Image Engineering found Coy’s LinkedIn profile and contacted him about handling pyrotechnics for a client, the NFL’s Kansas City Chiefs, Coy agreed to take the job with the requirement that he and Vaill could operate as a team. 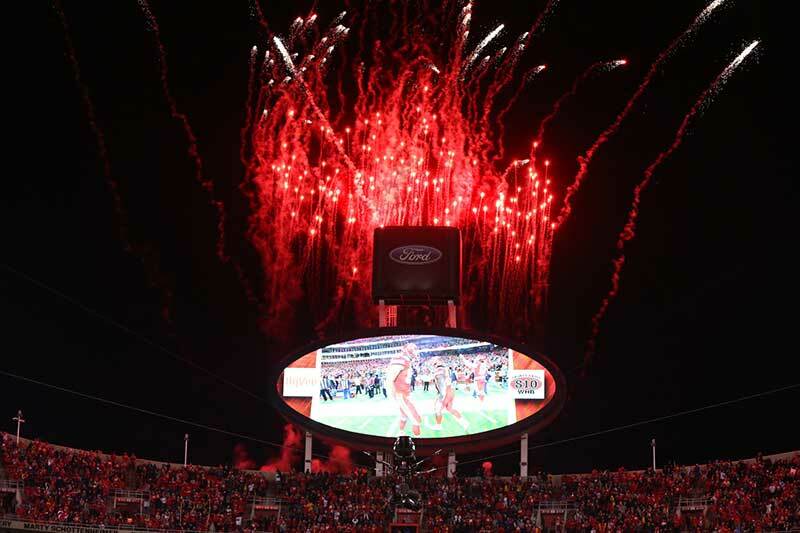 For the past three years, Coy and Vaill have produced the pyrotechnics for the football team’s home games at Arrowhead Stadium. 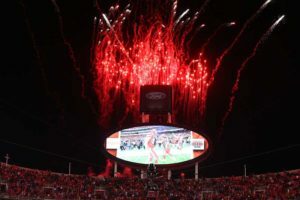 Coy creates the flame effects on the field — including the tallest flame in the NFL at 80-100 feet — while Vaill handles aerial displays from the roof. “We are probably the best-educated explosives team in the nation,” says Vaill. As S&T adjunct faculty members, Coy and Vaill bring professional experience to pyrotechnics classes, where hands-on training is essential. “You can learn from books and lectures, but you really don’t know what’s going on until you do it,” says Vaill.